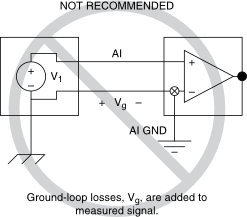 The type of input signal source (grounded or floating) and the configuration of the measurement system (differential, single-ended, pseudodifferential) determine how you connect signals to measurement devices. 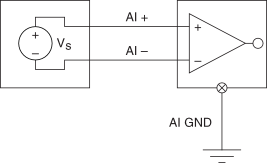 The following table provides an application-independent summary of analog input connections. R ext is the external bias resistor that you add.